• Soak rice and sesame seeds of equal amounts overnight, separately. • At morning, grind into fine consistency. • Exfoliate your body and face with it. • Wait for a minute or two. When rice exfoliates your skin and removes oil and dirt, sesame seeds moisturize your skin. • Squeeze lemons and take the juice out of it. • Apply thoroughly on your skin. • Leave it for 10 minutes. • You can use it in any pack or just use milk for your skin. • Apply little milk all over your face. • Massage gently with upward strokes. • At morning, wash your face with mild face wash. Milk not only moisturizes your skin, but also keeps your skin tone brightened. • Take equal proportion for honey and cucumber juice. • Apply at any part of your body including face. • Wait for 15 minutes and rinse well. This is an effective pack for dry skin. If you have oily skin, use lemon juice instead of cucumber. • Peel apples and soak in milk for at least 20 minutes. • Blend it and make paste. • Refrigerate for 10 minutes and then mix lemon juice into it. • Apply all over your body, face and neck. • Wash well after 20 minutes. Apples not only improve your complexion but also enhance the elasticity of your skin. • Mix little turmeric powder and lemon juice into it. • Apply thoroughly on your skin and wait for drying. To clean your pores from deep down and bring back natural glow, this is a very effective method. • Make tomato pulp and mix it with a tsp of honey and 1 tsp of baking soda. • Make the paste and apply. • Rub gently and wait for 5 minutes. This pack will eliminate all impurities from your skin and reduce oil and melanin production. You will get glowing skin instantly. 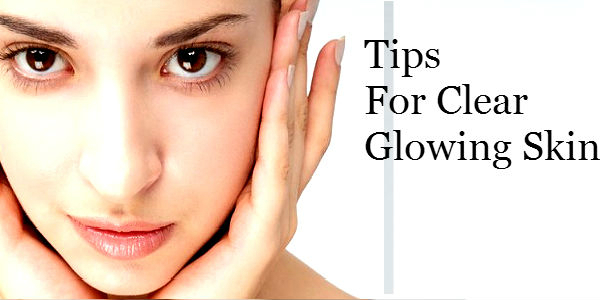 These are the simple home remedies to get glowing and healthy skin naturally within few days. Besides these, you should maintain healthy lifestyle to look beautiful from inside too. Andy is freelance enthusiast and ingenious writer who enjoys the challenges of creativity attention to detail. In free time I like to write stories and Articles.